Serving Western North Carolina. Full scale interior design. Our design services cover small to large jobs. 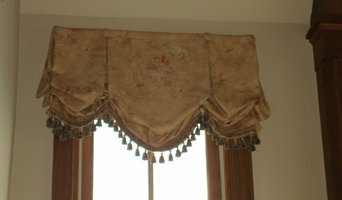 Full remodels or simple window treatments, furniture and accessories. We would love to work with you ! American Classic Shutters is a locally owned fabricator/retailer that carries a complete line of custom Plantation shutters, blinds, shades, draperies and specialty window coverings. Located in Taylors, a suburb of Greenville, South Carolina, our company has grown continuously since its beginning in 1987 to become an industry leader in the Western Carolinas. 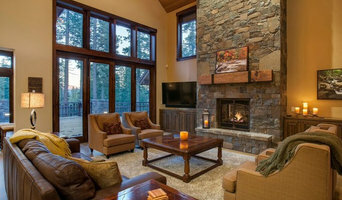 We offer a complete showroom and show-at-home service including measuring and installation using our own professionals - no sub-contract labor. Our first priority is to assist all of our clients in choosing the proper product for their needs using only quality products that are crafted in the USA. For example, our flagship line of shutter products from O'Hair Millwork come with a full transferable lifetime warranty. We are proud to have been chosen as one of their few select dealers in this area - consistently earning their “Homeowner Gold Rating” and ranking in their top ten dealers nationally. 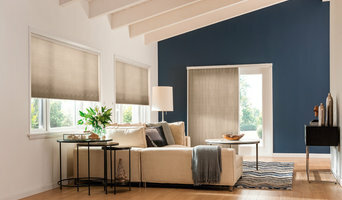 Most people are surprised to find that we are also one of the regions largest dealers of custom blinds, shades and window covering products from a wide array of national and regional suppliers. This allows us the unique opportunity to provide all of your needs at one time. Our good reputation is a result of handling every project with the goal of your ultimate satisfaction. A simple fact: More of our business is generated by referrals from satisfied customers than all of our other advertising outlets combined.